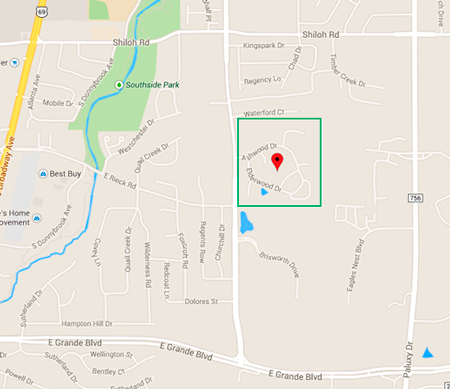 Nestled in the heart of south Tyler, TX, Copeland Woods is a subdivision of undisturbed native pines and hardwoods. A planned community that is just a few blocks from the many conveniences of the city but maintains the setting of the country. The planning and design efforts represent an approach that is sensitive to the natural beauty of the East Texas landscape. To encourage design excellence and construction quality, Copeland Woods' development is carefully guided by an architectural review committee. Their goal is to develop this area as one of the most distinguished areas in the city of Tyler. We encourage our homeowners to meet one another by providing opportunities such as the "Texans Against Crime (T.A.C.) Celebration." This annual event sponsored by The Texas Crime Prevention Association and the Tyler Police Department encourages neighborhood unity and strengthens police/community partnership. 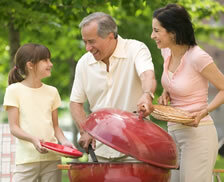 Our homeowners enjoy great barbecue and fellowship with neighbors at our garden park area. Come by and visit Mother Nature's Neighborhood.